John Casteen’s poems have appeared in Ploughshares, The Paris Review, Lo-Ball, and other magazines; his first book, Free Union, appeared from the University of Georgia Press in 2009. He teaches at Sweet Briar College, and serves on the editorial staff ofThe Virginia Quarterly Review. 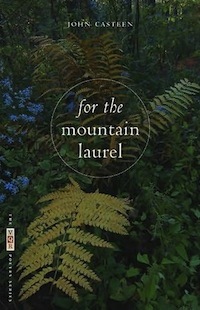 The poems here are from his second collection, For the Mountain Laurel (University of Georgia Press, 2011). John Casteen talks about reading his work aloud as he writes.